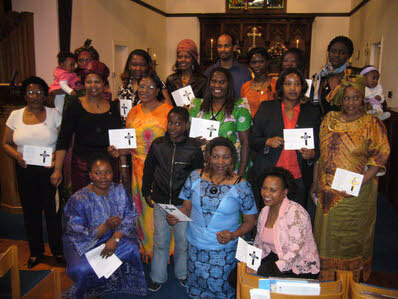 At our Festival service held at All Saints’, Bearsden we were delighted to admit 15 new members who come from many different countries within Africa. 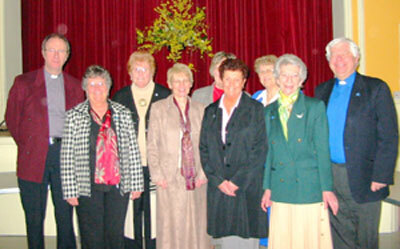 They are hoping to start a new branch with the help of their minister Rev Lucas Njenga. 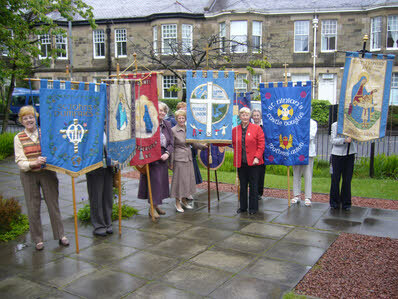 Their church is affiliated with the Anglican church (at present they worship in Glasgow Caledonian University) and they run the 'Chat House' in Maryhill Road, Glasgow, a centre for community transformation, social integration and fun, there are several outreach projects there. Their choir lifted our worship and the spectacle of everyone in their national dresses was wonderful said our Diocesan President Enid Scobie. 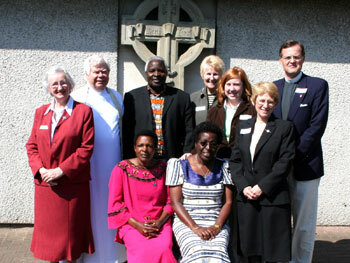 Our diocesan church links with Kentucky in USA and Byumba in Rwanda were bought together at Bishopbriggs for a day (when they were touring the diocese) to learn more about the worldwide work of the MU. Father of love, through your most Holy Spirit, Mary the Jewish girl conceived your Son; may his beauty, his humility, his all-transforming grace be born in us, and may we never despise the strange and stirring gentleness of your almighty power.